Dr. Sweet is board certified in neurology by the American Board of Psychiatry and Neurology. He practices general neurology with particular interest in Parkinson’s disease and other movement disorders, tic disorders, and stroke. He was awarded his medical degree by Washington University in St. Louis. He completed two years of residency in internal medicine at Vanderbilt University and a residency in neurology at New York Hospital Cornell Medical Center. He then served as assistant professor of neurology at Cornell and as associate professor at New York Medical College and at Mount Sinai School of Medicine. Dr. Sweet was chief of neurology at Metropolitan Hospital and then at the Bronx VA Medical Center before entering private practice in Westchester. 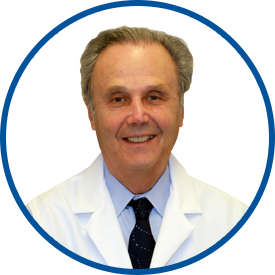 He was a partner in the Neurology Group of Westchester from 1980 till 2014. He is attending neurologist and medical director of the Stroke Service at White Plains Hospital, where he previously served as chief of neurology. He is also a neurology consultant at Burke Rehabilitation Center. Dr. Sweet is a Fellow of the American Academy of Neurology and is a member of the Movement Disorder Society, the American Stroke Association, and the American Association for the Advancement of Science. He is gratified that many people seek his care on the recommendation of his former patients or their families. *Dr. Sweet is an excellent dr.! *Dr. Sweet is a brilliant, caring doctor who has attended to my needs for decades. Dr. Sweet is an outstanding PHYSICIAN who has an outstanding patient manner, and is such an intelligent man. In my long life, the only physicians as good as Richard Sweet were my father and his two closest friends in the profession.